"Why Tax Cuts and Tax Hikes are Fundamentally the Same" was written by My 2 Cents, and is licensed under Creative Commons' Attribution - Share Alike 4.0 International license (a free cultural license). Ever since President Trump’s tax cuts made it through Congress several months ago, I’ve heard many Republican commentators talking about how much they have helped the economy. Even whitehouse.gov couldn’t pass up the opportunity to put out a short summary explaining just how the tax cuts are going to, “Provide tremendous relief for the middle class and small business” (“President Donald J. Trump Achieved the Biggest Tax Cuts”, para. 1). However, well it’s true that tax cuts improve the health of the economy in principle, the current political system combined with the worldwide scam that is the Federal Reserve of the United States ensures that both tax cuts and tax hikes ultimately have the same effect on the economy. Allow me to explain. It ought to seem fairly straightforward that when citizens are allowed to keep more of their own money, they tend to spend more on non-essential goods and services than they otherwise would have. This creates demand in industries that may not have been there if tax rates were higher and so creates job opportunities. Sounds pretty good right? Well, the problem is that most citizens don’t see beyond the surface rhetoric that takes place between the two political parties. If your only source of information is the mainstream media, it would seem that Democrats want to increase taxes in order to fund more government programs, and Republicans want to cut taxes in order to stimulate economic growth as was described above. However, what’s more important to consider is the government’s budget itself, not simply what tax cuts or tax hikes are passed. As I’ve written and spoken about before, it doesn’t matter who sits in the White House or Congress. Spending only goes in one direction. Up. And the Trump administration is no exception to this rule. This means that the U.S. is still engaging in deficit spending. So if taxes aren’t going up to cover the interest and principle payments on U.S. Treasury securities, how are they being paid off? If you’re interested in a detailed explanation of how the Federal Reserve Banking System works, I recommend Mike Maloney’s video linked below. However, to sum it up. The U.S. can pay off it’s debt in two ways. The first is to increase taxes and use the additional revenue to pay down the debt. 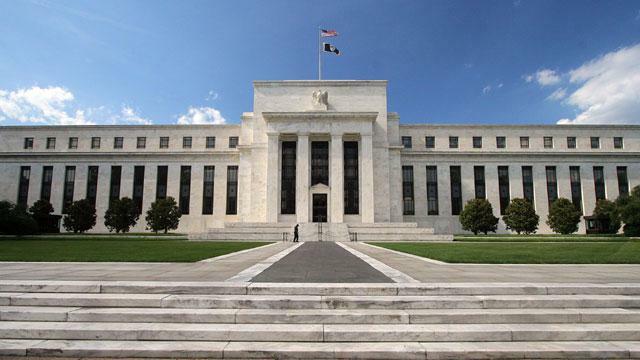 The second is to have the Federal Reserve inflate the currency through the issuance of additional treasury securities and pay off older securities with the newly created money. While both these methods are always used simultaneously to some degree, the former might be cast as the Democrats’ preferred method while the latter might be cast as the Republicans’ preferred method. However, both methods, at the end of the day, end up having the same effect on the economy. If taxes are increased, citizens will become more frugal with the money that they pocket, knowing they won’t have as much to spend on that big screen television or brand-new sports car. This decreases demand in the economy and may lead to layoffs and economic decline. No one wants to advocate for this to happen right? However, what of inflating the currency? Well, if the currency is inflated, in the short term it may look like the tax cuts are having a positive effect on the economy because citizens believe they can be more cavalier with how they spend their money. Demand is increased and economic growth follows. However, while it will take time for the effects to show, the new money that the government printed to finance its debt will seep its way into the economy, devaluing the U.S. dollar. As the people realize that the dollar is less valuable than it was before, prices will rise and investors who thought that the tax cuts meant new economic opportunity will begin to reverse course. They will attempt to save their assets as they see that their newly saved tax credits cannot take them as far as they initially believed. As with the effect of tax hikes, this type of economic decline is caused by the government stealing wealth from its citizens. The citizens simply did not feel the theft as forcefully because no currency was actually taken out of their pockets. It was simply devalued by inflation. The economist John Maynard Keynes once said, “By this means the government may secretly and unobserved, confiscate the wealth of the people, and not one man in a million will detect the theft” (Keynes, para. 1). While I’m not a fan of Keynes’ economic philosophy, he was certainly correct on this point. Due to the fact that very few people understand the Federal Reserve and fractional reserve banking, most people don’t realize that under the current system, balancing the budget is impossible. For this reason, there is fundamentally no difference between tax cuts and tax hikes. Both will have the same effect in the long run. As always, this political debate between Republicans and Democrats is nothing but a sham designed to stop the people from seeing what the state is doing. Confiscating their hard-earned wealth and taking away their freedoms. It’s what the government does and will continue to do until the people wake up. And that is my 2 cents. Take it for what it’s worth.